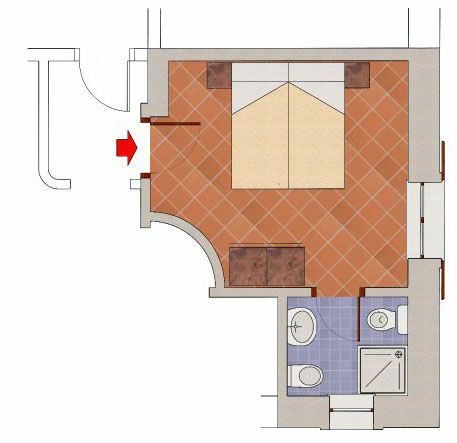 Double bedroom with bathroom. Open gallery with tables. First floor. 24 square metres.